Bone Cave Ballet's second release is a five-song EP containing a bit more than 25 minutes of music. Normally I don't like to lead off a review with a negative, but there's so much to like about Will of the Waves that its short length is really the only flaw. The engaging style of their debut comes more into its own with these tunes, presenting a self-assured sound that perfectly balances proggy complexity and sheer melodic appeal. The set sneaks up on the listener deceptively, with "Breakup Yoga" and two interlocking guitar parts backed by drum rims for rhythm. But the arrangement builds up to a great riff punctuated by unison fills. Jacqui Gilroy's voice floats above it all, somehow apart from the fury yet locked in with it. "Great Cycle" also starts out quietly and builds in intensity, but then it works through sections of varying levels, showing the band's command of dynamics. The tempo kicks up with "Newton's 3rd," and Gilroy's flute is added to the mix for "Shape to Stay." There's not a weak track in the set, and frustration leads me to just hit Repeat when it ends. Please, everyone, leave them alone long enough to get some more material recorded! What a unique name! I’m not at all sure what it means, but it does sound cool. 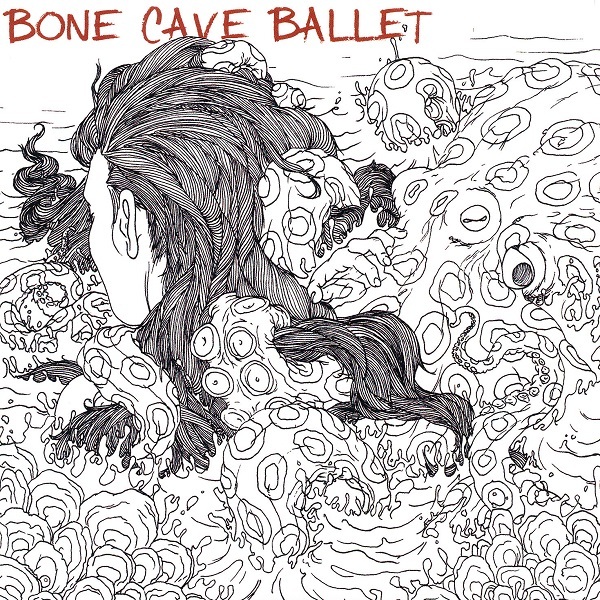 Bone Cave Ballet is a Seattle-based band that is entering their sixth year as a band and Will of the Waves, a five track CD EP, is their latest release. They perform energetic, stripped down progressive rock with dissonant hints of Robert Fripp. The band is Jacqui Gilroy (vocals and guitar), Kelly Mynes (drums), Ezekiel Lords (bass), and Jeff Blancato (guitar and backing vocals). Jacqui’s vocals remind me of fellow Seattle musician Anisa Romero (Sky Cries Mary). Four of the five songs feature her harmonized vocals that can be very beautiful. Unfortunately on “Great Cycle” Jacqui’s nasal voice does not resonate with me. All four musicians play off one another, including doubling of Jacqui’s voice. Many of the songs go through multiple tempo and mood changes from spirited guitar riffing to trippy voices to acoustic guitar passages that serve to hold your interest. The best songs for me are “Shape to Stay” and “Newton’s 3rd.” It is a shame that Bone Cave Ballet did not have more material to include on the disc. It is a bit short at 25 minutes. Diving into the "Good Lava"